This easy assembly of readily available ingredients makes it a fun meal for the kids to put together. 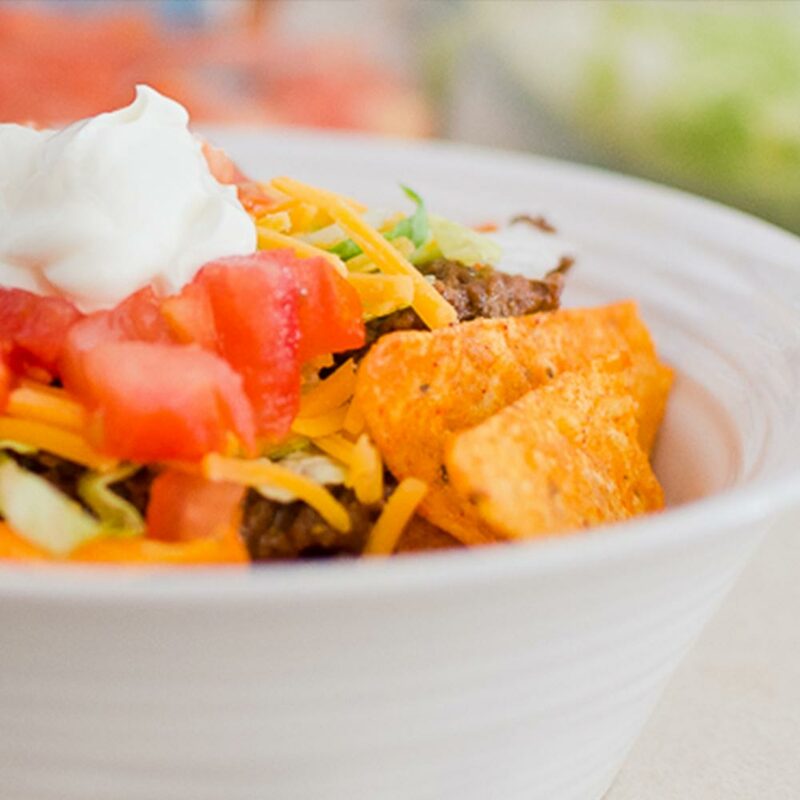 Try putting each ingredient in its own bowl and creating a taco buffet. In a skillet, cook the ground beef until browned. Add the taco seasoning and cook according to the directions. Typically, add 1/2 - 3/4 cup water and seasoning to the ground beef and cook an additional 5 minutes. In a bowl add a couple handfuls of nacho cheese Doritos. On top of the Doritos add taco meat, lettuce, tomatoes, cheese, and sour cream as desired. Top the taco salad with Ortega taco sauce. Despite how awesome I might appear online, mistakes happen. If you happen to spot one on this recipe, save your fellow cooks a disaster and let me know by using the contact form.